Typographics, a typography conference that debuted in 2015, returns for a second year on June 17 and 18, 2016 to The Cooper Union. The event is organized by Type@Cooper, the leading post-graduate degree program in typeface design, and the Herb Lubalin Study Center of Design and Typography, a graphic design archive that houses more than 6,000 pieces of design ephemera. “Designers from around the globe participated in our very first year and we are excited to once again provide informative lectures, panels and an array of workshops and tours for design professionals and type enthusiasts,” said Alexander Tochilovsky, curator of the Herb Lubalin Study Center and one of the conference producers. Typographics participants will have the opportunity to learn about the latest trends in typeface design, publication and book design, branding and packaging, corporate identity, advertising and motion graphics. On the digital side, Typographics will focus on new frontiers in app and responsive web design. Discussions will also consider how design history impacts design’s future. Two weeks of intensive workshops offering practical design instruction taught by professional typeface designers will bookend the conference. The workshops are organized through Type@Cooper to ensure a robust educational experience for participants. 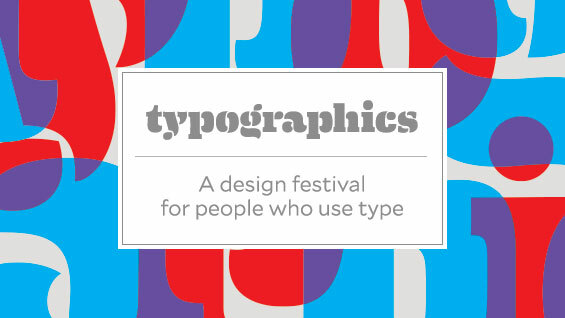 Typographics will take place on Friday, June 17 and Saturday, June 18, 2016. Workshops and tours start on June 13 and run through June 23.